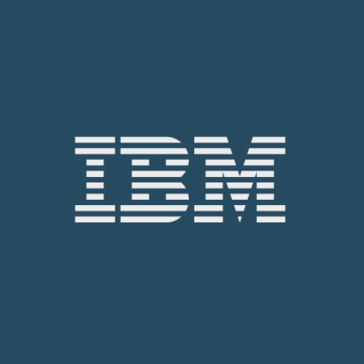 Work for IBM Digital Experience Manager? Learning about IBM Digital Experience Manager? "Perfect for delivering personalized content to users on demand"
Its perfect for delivering personalized content to any user on any device. Using their personalization and content as a service features, you can deliver personalized meaninful content to any user on any device. The cloud version does not allow for deployment of customized applications to aide in bringing higher value to end users. We have leveraged DXM to power employeee and HR intranets, delivering important meaningful information that employees demand from their employers. We have also leveraged DXM to power e-commerce engines where we manage the products as content items. IBM Digital Experience Manager is excellent. It allows you to manage content and free up staffing resources. It is very flexible. Catalog filtering is definitely my favorite feature because it helps me to filter and show only those products that the customer engages with. . I really can’t find anything to dislike about IBM Digital Experience Manager. If I had to name something it would be that the product is a little outdated but definitely overall a really great product. We are better able to integrate our organization’s messaging and focus more on the customer. It is saving resources and also helping us have a consistent message across platforms. 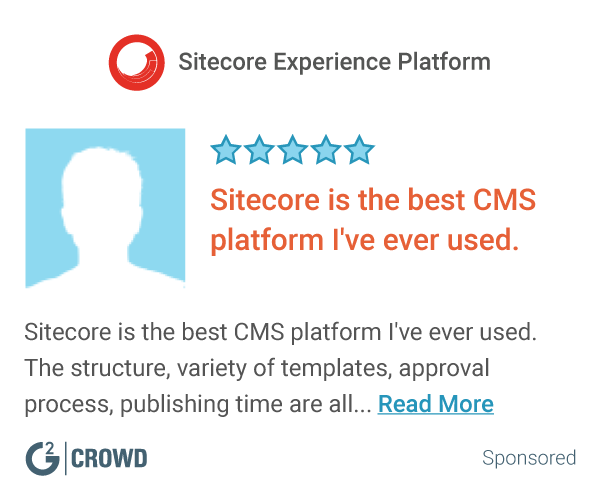 "Using Digital Experience Manager to build a cohesive experience"
Full featured, robust, easy to use and extensible. We have over 20 sites and commerce requirement in three regions around the world. IBM Digital Experience Manager allow us to have a consistant look and feel to all the sites and to integrate a full commerce component. It also allows us to update and maintain content on a daily basis and to integrate and maintain our social media sites from a central point. "Visualization to help with dashboards"
How this embeds with social sites. Not everyone in my group wants to share their facebook. The linkedin and twitter sharing seems to be most easy and professional when it comes to team sharing for social sites. Training tutorials would help significantly. Updating certain software requirements, We still have a considerable amount of windows 7 computers and upgrading them will be something we do in the future, but keeping up to date with windows 10 is the way we need to go. "Digital Experience Manqager - Best in the business, rock solid for internal and external"
Providing access to key business processes in a web browser. This is huge because secure role based access is hard to provide and maintain. DX allows me to create a unique and engaging viewer experience. Once a viewer authenticates, I can then personalize their viewing experience. Blending web content and applications is the key to this viewer experience. The WCM components need refreshing both from a user and developer perspective. Content has now become one of the key applications on the web site. DX has been around for many years and has outlasted our main competitors. Check out the Gartner Magic Quadrant report for the past few years for "Horizontal Portal" and "Digital Experience Platform". DX allows me to solve any different business problems. I can easily address internal, external, and hybrid models with ease and flexibility. It's far behind than industry competitor. and recently WebSphere Portal being offloaded by IBM has an huge impact on our customer's confiedence. To help clients build rich digital experiences through customization built on the product. "Satisfying, happy and easily recommendable"
It takes too long to install WPS / Case Manager / Digital Data Connector / Connections and Domino. I would like to see a basic architecture to expose service mail, blog, share file, share mail, meeting etc. I am waiting your Connections Pink solution impatiently! "Robust and scalable solutions for your digital experience presence"
The product can be overwhelming for users looking to hit the ground running. Your biggest return using the product is leveraging expert services to build really unique experiences. That said, the out of the box functionality is getting better all the time. "Great Product. My former Employer used it!" My former employer used it to startup his business. They were building logistics business and I came across the website. Did some research and propose it to my employer. They are still using it to this day. I never heard anything negative about the product. Shipping logistics and promoting product. I love that it gives the user full control to fully customize the digital experience for its customers. it is also extremely easy to use. I do not appreciate the fact that certifications expire. it is helping us showcase our offerings to our customer thereby increasing sales. I have just started using since few months, so far it looks good. it is helping our business use to create their own content , they do not need to depend on IT people. "IBM digital experience manager makes my work like easy"
"Good and stable product, need imporovement on WCM side"
Not know at this time , I have not used very rigorously. It help business user to create communication they wants to do with users, it does not require technical or IT people to help them. upgrade life cycle , deprecated featiure needs reqwork and requires effort on client side. I did not involved directly with the product of Digital experience Manager . Our team of Bank financial department may use it in future. "Void attempt but missing functionality"
* We monitor all IBM Digital Experience Manager reviews to prevent fraudulent reviews and keep review quality high. We do not post reviews by company employees or direct competitors. Validated reviews require the user to submit a screenshot of the product containing their user ID, in order to verify a user is an actual user of the product. Hi there! Are you looking to implement a solution like IBM Digital Experience Manager?